In 2016, about 40% of total US energy was consumed by the residential and commercial sectors. And based on a 2015 study on energy efficient HVAC systems for commercial buildings, HVAC accounts for “roughly 40% of total building energy consumption”. What happens when you take a typical office building that runs the HVAC unit on Saturdays and switch it to only run by tenant request. How much is saved and what do the comparisons look like? BAM! We tested just that in a randomly selected Pennsylvania suburban office building from one of our clients. 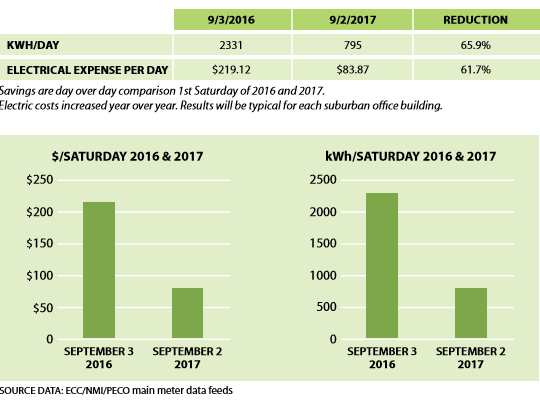 Let us help you save on energy expenses and report results like this one for your buildings! Simple automation of this process is made possible by GulfStream! Contact info@ecc.energy with questions or just to chat about ECC! 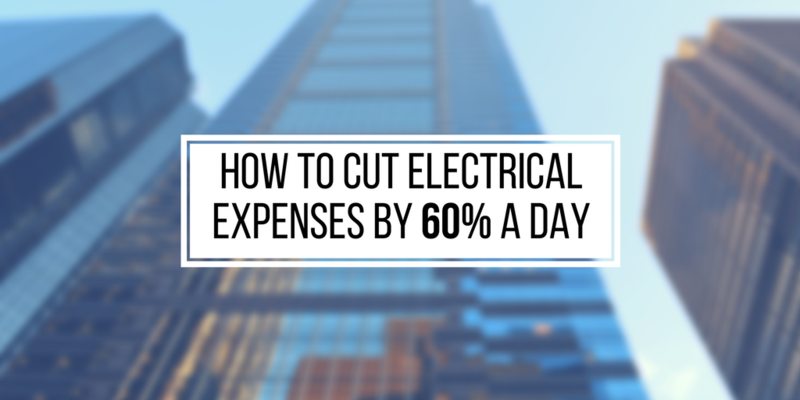 We want to help you solve your energy expense pain.